DAB Plus broadcasts, available in major capital cities. The DAB Plus Digital Radio broadcast originates from Mount Coot-tha, Brisbane. 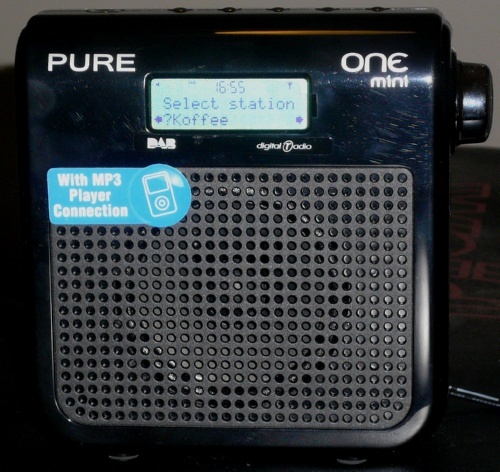 As of September 2010, listeners have reported that DAB Plus Brisbane can be reliably heard at certain locations from Peregian (Sunshine Coast) in the north, Woorim (Bribie Island) in the north east, to Surfers Paradise (Gold Coast) in the south, using a portable receiver. In elevated areas of the Noosa National Park (Sunshine Coast) DAB Plus Brisbane can be received. This receiving location is some 120 kilometres away from the broadcast site. Just like FM, VHF-based DAB Plus radio can be propagated via tropospheric ducting. However, the potential receiving distance for DAB Plus is no match for FM. Why is this the case? The digital cliff effect impacts upon reception of all digital broadcasts including TV. Notice how analogue reception gets noisier as the signal gets weaker? Digital reception does not. If the signal is too weak, reception fails completely! Exacerbating this is the fact that relatively low broadcasting power has been allocated to these frequencies. This was done to protect commercial radio license areas and minimize television interference. Offsetting the disadvantage of diminished coverage areas, DAB Plus excels in providing unique programming, not available through conventional analogue AM/FM broadcasts. DAB Plus has attracted some local criticism since its inception. In the interests of providing balance, please visit this comprehensive forum or this controversial critique. DAB Plus offers listeners new stations, like on Digital TV, that are not available through the regular analogue broadcasts. In Australia, DAB Plus is still in its infancy, having commenced from 2009. It is anticipated that new stations will continue to be added as demand and awareness grows. Huge array of new stations. Something for everyone. Scrolling text and instant news headlines. Depends on the station you are tuned to. No advertisements on new stations. There may be rare exceptions between markets. Stereo audio on AM. There may be rare exceptions between markets. FM DX Friendly. Transmissions do not interfere with FM & AM DXing, unlike DRM/DRM Plus or HD Radio. DAB Digital uses its own band. There are many receivers available on the Australian market. For in-car reception, consider the Pure Highway, an add-on device which plugs into your existing car receiver. Kenwood car receivers with in-built DAB Plus capabilities will be available from May 2011, according to Fairfax journalist Adam Turner. Unlistenable if the signal is poor. Not a particularly good choice for mobile listening as dropouts can be very annoying. Worse coverage than FM analogue. 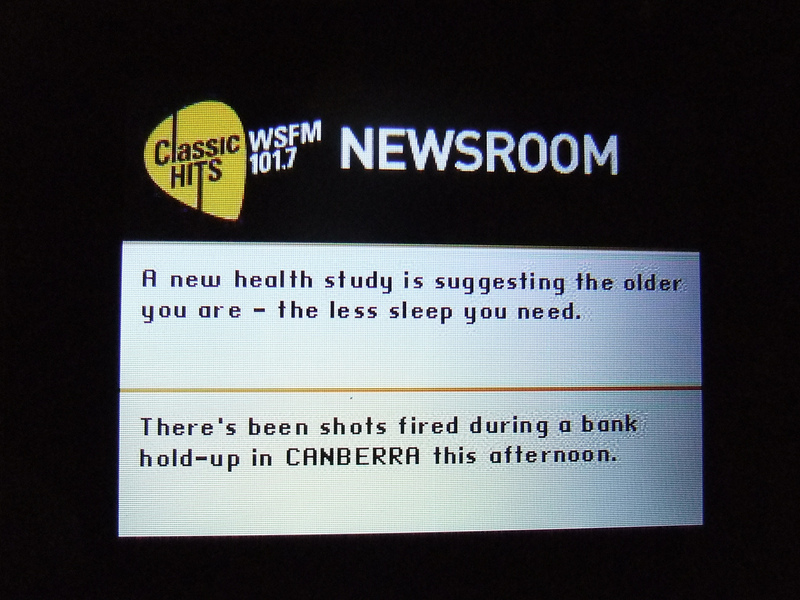 Digital radio needs a strong signal to provide reliable reception. May require an external rooftop antenna. In marginal reception areas, listeners have reported good results with the Bush BR10DAB, Sangean DPR69 Plus, Akai ADAB100, Pure One Mini and Elite portable radios. Koffee is a digital-only radio station created by DMG, the owners of Nova. The broadcast is on VHF channel 9A 202.928 MHz. Video Below: I would like to buy/borrow/steal one of these DX-friendly radios (the Pure One Elite) one day! But at $159AUD on sale in Australia... it's not going to happen. Pity us pecuniary-challenged DXers. 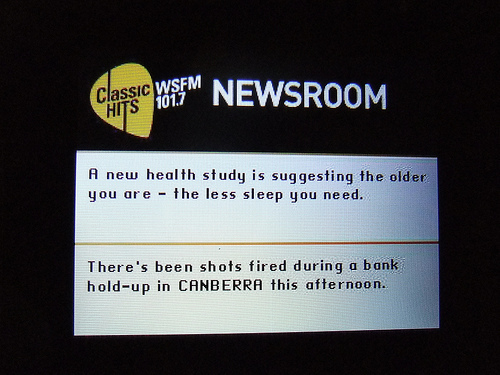 Video Below: I don't mind listening to 3MP, another digital-only radio station, when in Melbourne either. 3MP offer diverse music considering what else can be found on commercial radio.